INC SOUND MOD. ADJ STOCK. 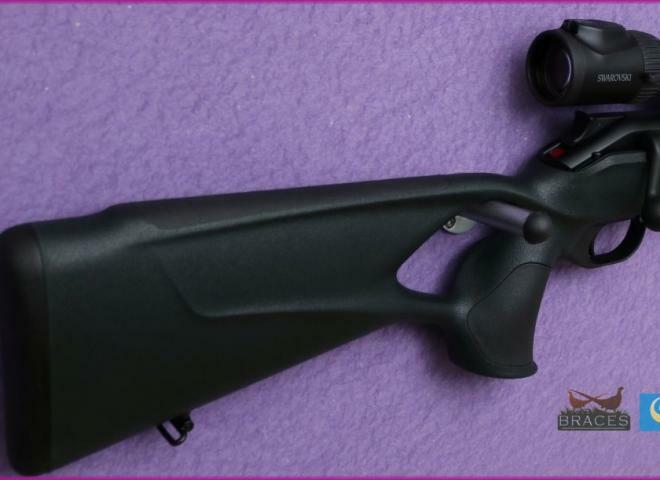 Fitted with GRS Sporter Varmint laminate stock in black. Screwcut 5/8" UNF for a sound moderator. 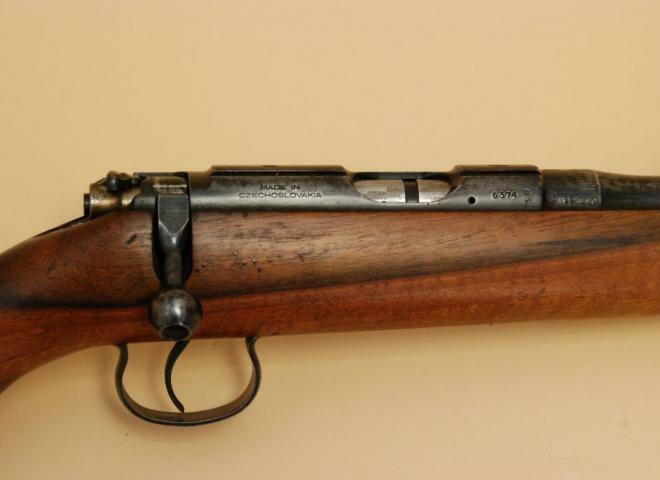 Developed specifically for the British market, the UK AccuStalker™ has been designed for vermin shooters, foxers and for general woodland stalking. The latest from Webley & Scott the well known brand. 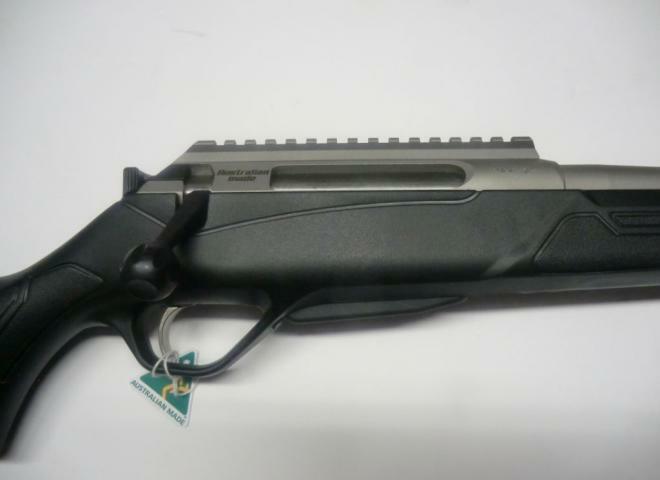 The latest Carbon Fibre Bull Barrel Model with all black synthetic stock. The GCNS features a detachable box magazine, checkered grips and fore-end, swivel studs, and Savage’s AccuTrigger system. 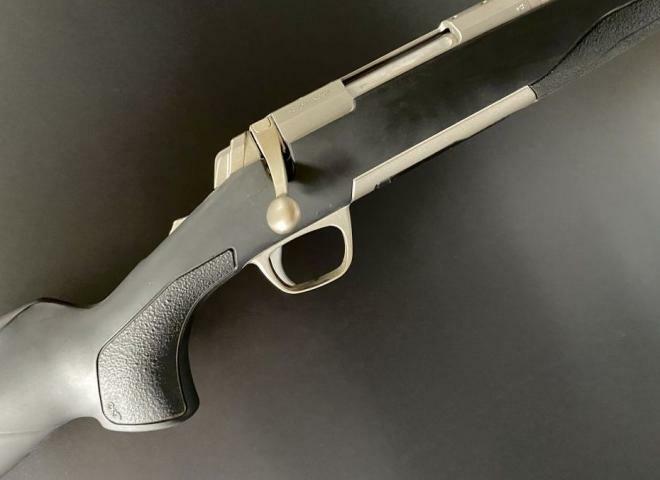 black synthetic stock with gray pistol grip and fore end inserts. 26" Stainless fluted barrel threaded M18 x 1 with stainless action and floorplate. X Mark Pro adjustable trigger and Super Cell recoil pad. 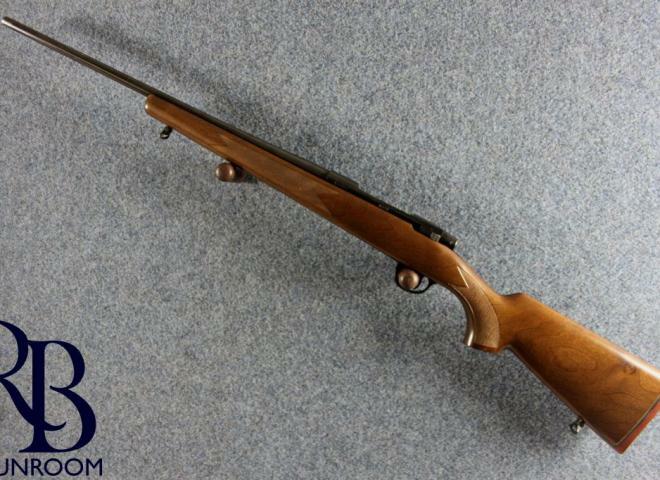 The Gun Room offers you the opportunity to purchase a new ,243 Lithgow LA102 Crossover synthetic stocked rifle with a 22" stainless barrel screw cut for a sound moderator 14x1 3 stage safety and picatiny rail, nice trigger. 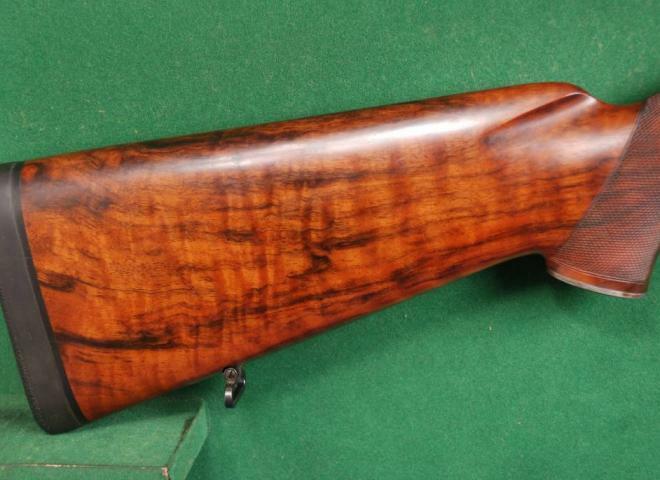 A beautiful rare gun in mint condition. Less than 5 shots have been fired from this gun! 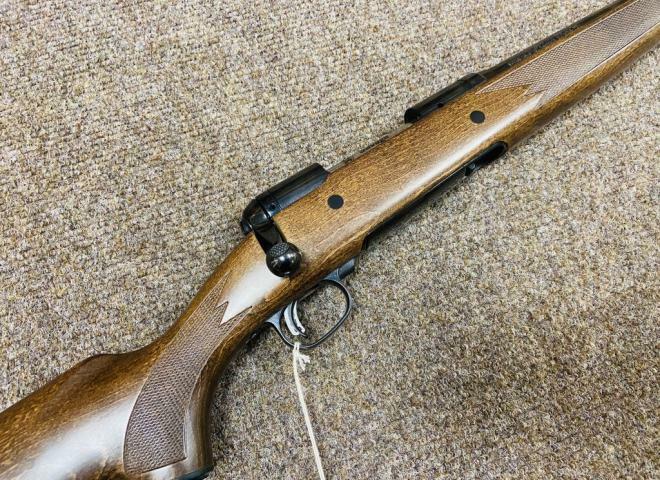 Pre owned Sako 75 Hunter synthetic stainless in .25-06 included is a schmidt & bender 3-12x50 scope, canvas sling and .25-06 sound moderator. 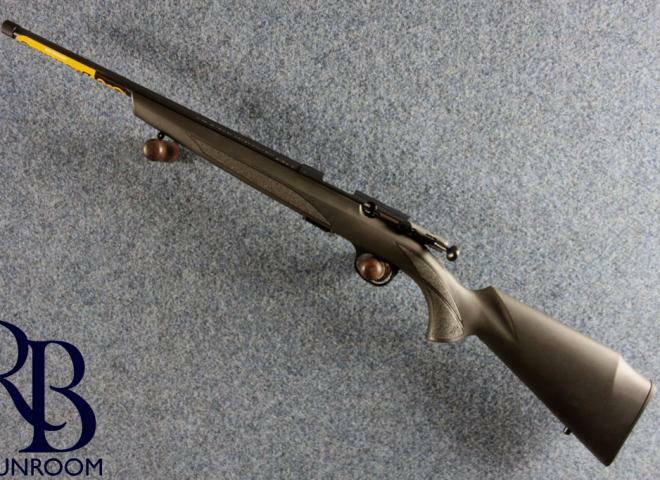 One of the the most accurate sniper / target rifles currently in production this rifle has a lead lapped match grade barrel, the TRG is renowned for superb accuracy and 1/2" minute groups are often the norm. Bolt Conversion, trigger conversion to adjustable, box mag conversion with 3x 20rnd mags. Uprated recoil lug. 20MOA rail. Edgar Brother Opti-Mate 10x42 with tactical turrets and side paralex - mil dot. 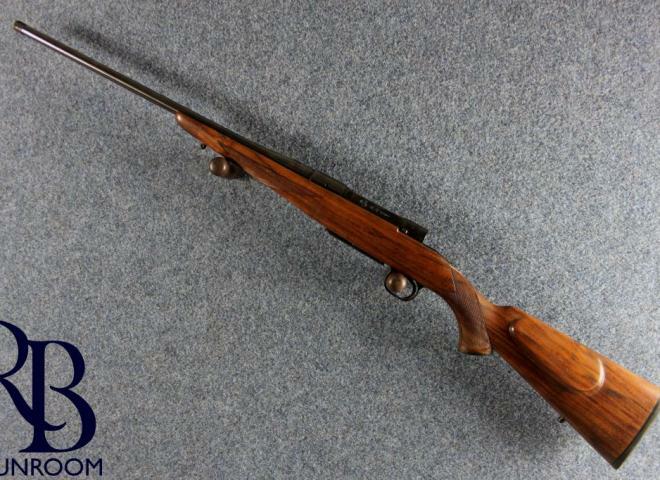 Browning's top of the range long range rifle featuring match grade fluted barrel, adjustable stock and match trigger unit. 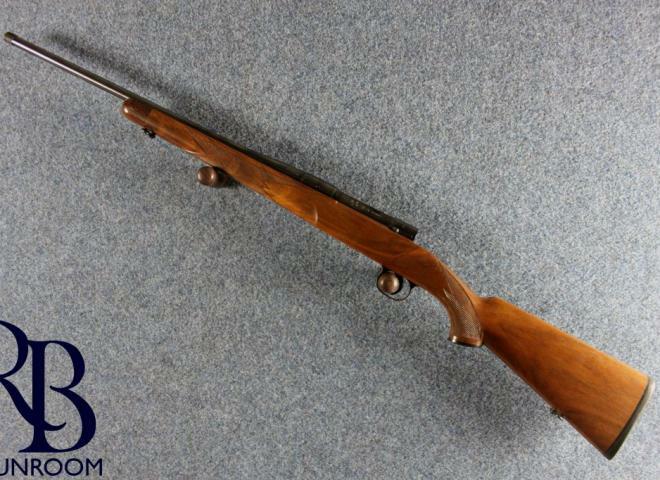 The rifle comes with a 20 moa picatinny rail and muzzle break on the 18x1 threaded barrel. 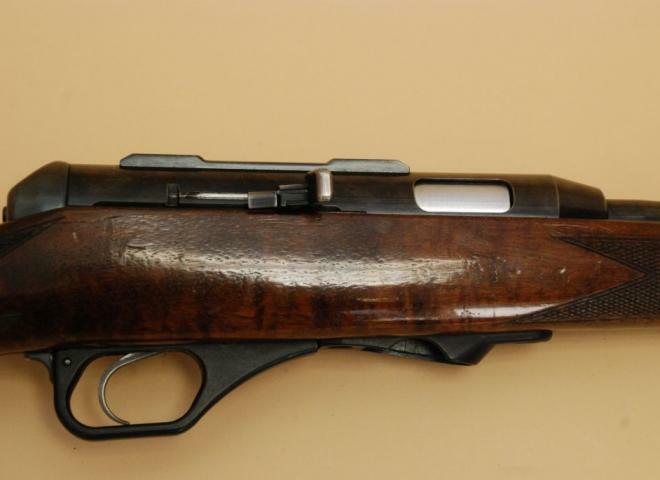 Good condition rifle with 9 shot magaziine and .22lr barrel. 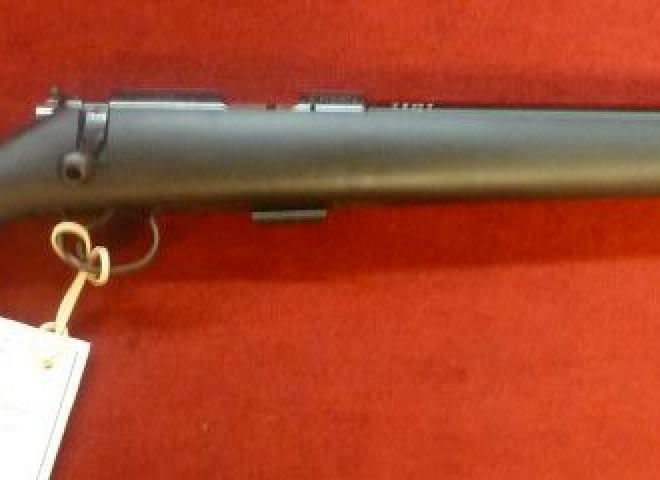 FINNFIRE 11 NEW MODEL 22LR STD MT 1/2 UNF .IF BOUGHT BEFORE THE 1/12/17 WE WILL TAKE YOU NIGHT SHOOTING AND SET THE RIFLE UP FREE OF CHARGE . 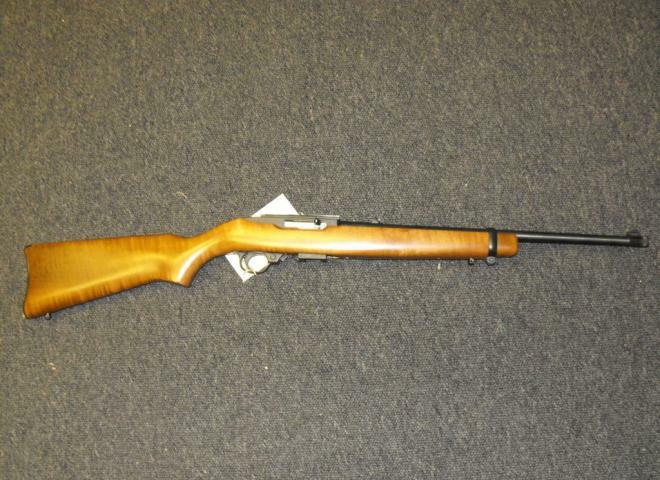 SAKO 17HMR CARBINE WITH 5 SHOT MAG /THESE GUNS MAKE A GREAT RIFE WITH THE SHORT BARREL . 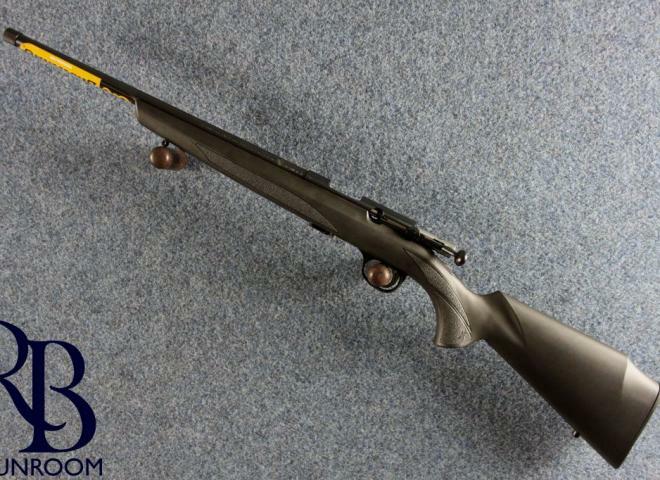 NEW TIKKA T3X LITE ,BLUED,SCREW CUT 1/14 WE WILL SET THIS RIFLE UP FREE . TIKKA BASES X RINGS IN STOCK ALONG WITH SOUND MODERATORS,SCOPES /.ALSO LOAD DEVELOPMENT IF IF REQUIRED .WE HAVE A FULL TIME GUNSMITH .